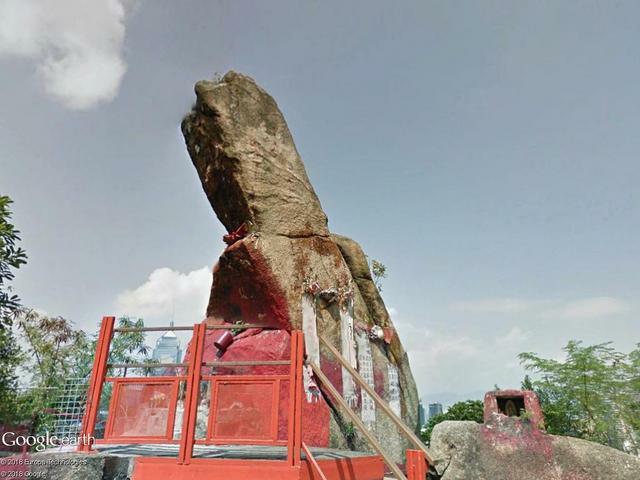 The Lovers' Rock is a stone formation on Bowen Road in Hong Kong. It can only be reached on foot and is a popular visitor destination. According to the vernacular, the rock has the power to help young couples to enjoy their happiness as parents. In the environment there are numerous memorial places, small altars and places of worship. Who touches him will notice - hard as stone.